Lost Pond, with Hurricane Mountain in the background. Photo by Ken Aaron. 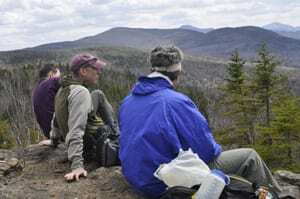 Last weekend I joined Alan Wechsler, the outdoors writer for the Albany Times Union, and three other friends on a hike along one of my favorite trails, the six-mile loop on Nun-da-ga-o Ridge in the hills above the hamlet of Keene. Normally, you begin the hike at Crow Clearing at the end of O’Toole Road, but we extended the outing by starting at a different spot on the road and first climbing Little Crow and Big Crow mountains. The Crows trail joins the ridge trail after a mile and a half. 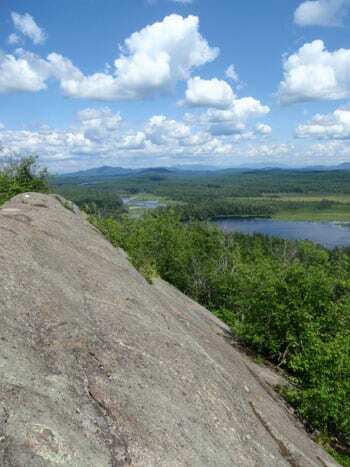 The ridge trail affords many different views of the High Peaks as you scramble over open ledges. People differ over which direction is the better way to travel. I like hiking the loop clockwise. This way you get to the ridge and the views quickly. 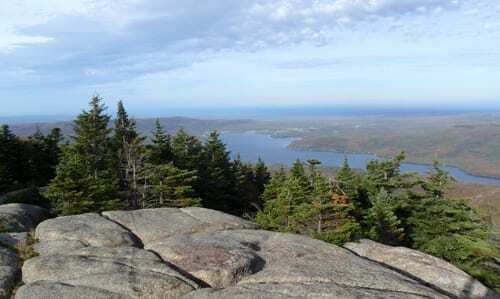 After a series of ups and downs, you reach the ridge’s high point, Weston Mountain (elevation 3,100+ feet), after 3.4 miles. After this climax, you descend first to Lost Pond, then to a lean-to on Gulf Brook. The hike ends with a mile-long walk on the flat, a nice cool-down after a strenuous outing. Of course, those who prefer hiking the loop counterclockwise say the flat is a nice warm-up. Whichever way you go, you should consider taking a short side trip up Big Crow. If you want a bigger day, you can hike up Hurricane Mountain from the Gulf Brook lean-to. 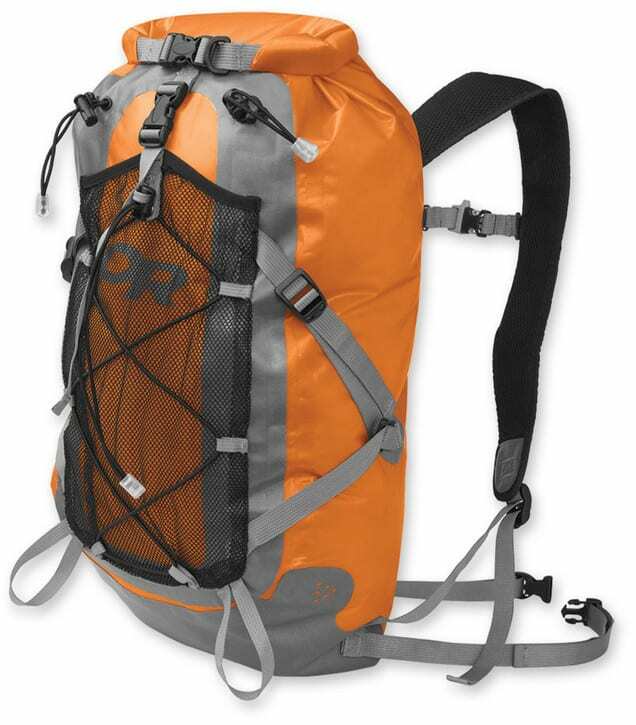 If you just do the loop, you’ll ascend about 1,600 feet, with all the ups and downs. Incidentally, we did the hike on May 2, and there was no snow and little mud on the route. We didn’t run into anybody until the very end, when we encountered Pete Fish, the retired forest ranger, who was walking along the flat part with his wife and young grandson. Nun-da-ga-o Ridge is one of Pete’s favorite hikes, and he helps maintain the trail. Thanks to Ken Aaron, the communications director at Paul Smith’s College, for letting us use the accompanying photos. Alan wrote a story about the hike for the Times Union. Alan summits a large boulder along the trail. Photo by Ken Aaron. phil, thanks for the conditions report on nun-da-ga-o … one of my favorite hikes, too! Makes me wish I lived in the Adirondacks. Rochester is too flat. 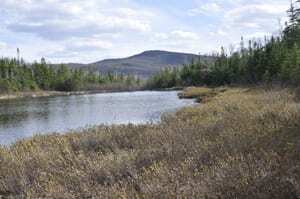 Where did the name of the ridge originate?